Looking for a Used Car Dealer Near Amity, NY? You have a few choices when it comes to finding a used car dealer near Amity, NY, but the choice will be easy when you discover Middletown Honda. We have a diverse selection of vehicles, certainly, but we pride ourselves above all on providing you with an outstanding car-shopping experience, and our friendly, knowledgeable representatives are standing by to assist you. We’re easy to reach from Amity, too — it’s just a 30-minute drive via County Rd. 6/Pulaski Hwy and NY-17 W. We’re located at 520 Rte. 211 E in Middletown, NY. It should come as no surprise that we proudly feature the latest offerings from Honda — and while we think Honda makes a vehicle to suit almost any driver, we understand that everyone has their own preferences. It’s for that reason that we’re pleased to be able to offer a diverse selection of pre-owned cars, trucks, and SUVs from a variety of automakers. If you’re on a tight budget, you’ll want to take a look at our selection of vehicles priced under $10,000. We’re committed to working with all drivers, and the range of our pre-owned selection is proof of that. We’ve also got a finance team that will work with you to find a loan option that makes sense for your budget. Your complete satisfaction is our top priority. 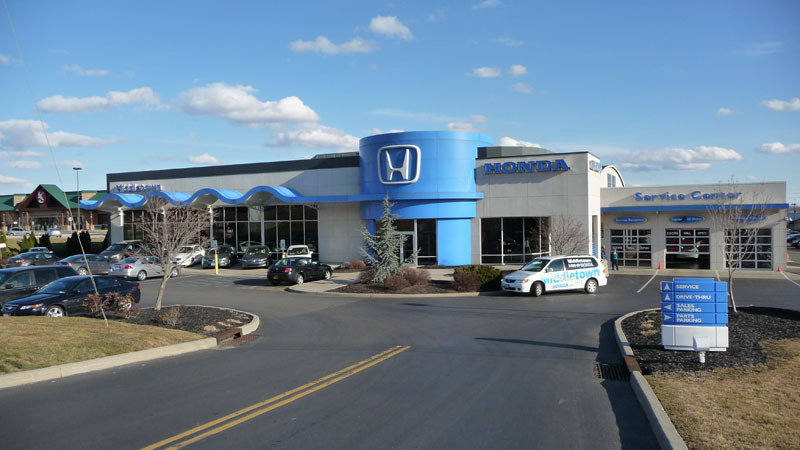 When you come to Middletown Honda, you’ll be getting more than just a phenomenal selection of exceptional vehicles — you’ll be getting a pleasant, friendly experience. It’s one of the reasons that we’re a top Amity-area used car dealer, and it’s why so many visitors to our dealership become repeat customers. Just check out some of our reviews to see for yourself. At Middletown Honda, we’re proud to be the used car dealer of choice for drivers in Amity, NY and the surrounding communities. With our extensive selection of vehicles and our focus on complete customer satisfaction, we’re confident that you’ll be thrilled with everything that we have to offer. Visit us today to see what we can do for you!